Published: Nov. 20, 2016 at 10:58 p.m.
Green Bay Packers quarterback Aaron Rodgers finds running back James Starks for a 31-yard touchdown on busted coverage from the Washington Redskins. Published: Nov. 13, 2016 at 02:45 p.m.
Green Bay Packers running back James Starks takes a screen pass in for a 13-yard touchdown. 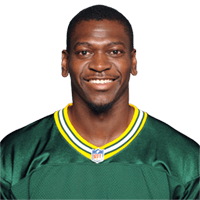 Published: Aug. 18, 2016 at 08:51 p.m.
Green Bay Packers running back James Starks rushes for 24 yards. Published: Jan. 10, 2016 at 07:22 p.m.